This role requires the student to distribute equal time during each part of the production. The director’s role involves overall control of the artistic and dramatic aspects of the film, guiding the technical crew and actors to transform the script from page to screen. Create blog posts (3 total) with embedded media evidence for each of three production stages. Brainstorm with the team regarding ideas, GENRE, CONCEPTS and GROUP INTENTIONS. Research the chosen GENRE and any INFLUENCES for the production of the film, identifying CONVENTIONS and DEVELOPING STYLE for the film. Provide a CLEAR EXPLANATION of the VISION or concept behind the film to the team and use this as a guiding point for all decisions. Go over the script and make NOTES about how each scene will LOOK and SOUND. Collaborate with the writer on DIALOGUE, SCRIPT ORDER, LENGTH and any other changes. Collaborate with the cinematographer about how MISE-EN-SCÉNE, LOCATIONS and LIGHTING will be handled. Collaborate with the editor about PACING, TRANSITIONS, EFFECTS and STYLE. Collaborate with sound to determine important AMBIENT NOISE, SOUNDTRACK, SOUND EFFECTS and how it will match the GENERAL PACE / MOOD of EACH SEQUENCE. Arrange a location visit and make NOTES on ARTISTIC CHOICES and LOGISTICAL ELEMENTS (including obtaining permission). Complete casting (including AUDITIONS, READ THROUGH or PREPARATION, as required). 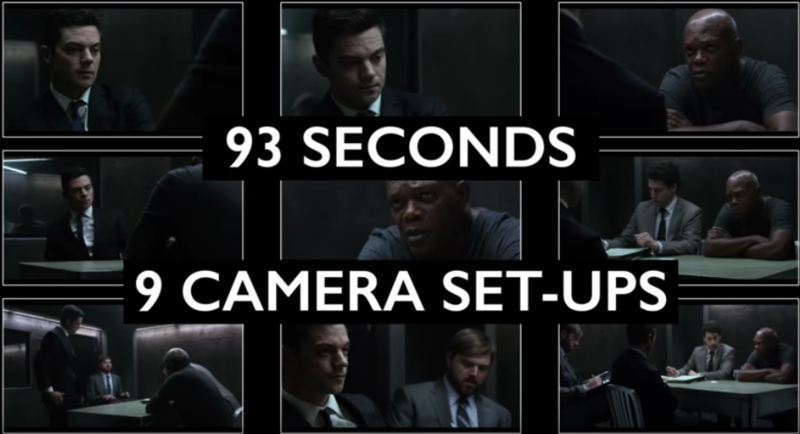 Create a SHOOT SCHEDULE in the order that it will be filmed together with the cinematographer. Create DIAGRAMS to show BLOCKING and ACTOR MOVEMENT. Create a STORYBOARD together with the cinematographer. Make decisions regarding PRODUCTION DESIGN, PROPS, COSTUMES and SET, and ensure that all are ready for the appropriate day of production. Rehearse with the ACTORS to ensure that they are PREPARED for the production days. Run the SET during the production phase by keeping all CREW INFORMED and ON SCHEDULE. Instruct ACTORS on BLOCKING, PERFORMANCE, LINE DELIVERY. Call for the start and end of each take by saying “standby”, “roll camera”, “action” and “cut”. Ensure that the other key roles (primarily camera and sound) have OBTAINED CLEAR IMAGE and SOUND from the scene. Make DECISIONS about when to move on to shoot the next scene. Write PRODUCTION NOTES for each day of shooting-before and after: a SET OF EXPECTATIONS for the day and a LIST OF WHAT WAS ACHIEVED or NOT ACHIEVED; notes on WAYS TO SOLVE PROBLEMS. Produce NOTES for post-production regarding LENGTH OF SCENE, GOOD/BAD SHOTS and other NOTEWORTHY ELEMENTS to be handled in post-production. Make a NOTE of ANY CHANGES to the SCRIPT and provide JUSTIFICATION (artistic or logistical). Hold ONGOING DISCUSSIONS with the key production team members and actors and provide EVIDENCE OF INSTRUCTIONS to them. Ensure that locations are LEFT AS THEY ARE FOUND, as the LAST PERSON TO LEAVE THE SET. Ensure that SAFETY COMES FIRST at all times during the production of the film. Collaborate with the editor regarding SELECTION OF SHOTS and the ORDER OF THE FILM. Collaborate with sound regarding SOUNDTRACK, SOUND EFFECTS and any VOICEOVER or ADDITIONAL SOUND created. Collaborate with the writer and make a NOTES of ANY CHANGES that were made between the initial script and the final version, as well as an EVALUATION and JUSTIFICATION of the changes. Collaborate with the cinematographer and the editor regarding COLOR, CAMERA TRANSITIONS or SPECIAL EFFECTS that need to be adjusted in post-production. Provide an opportunity for the team to VIEW THE FILM and PROVIDE COMMENTS/FEEDBACK. Provide an opportunity for a test screening to a new audience and make a NOTE of REACTIONS and/or SUGGESTIONS to the final cut. Sign off on the FINAL FILM.